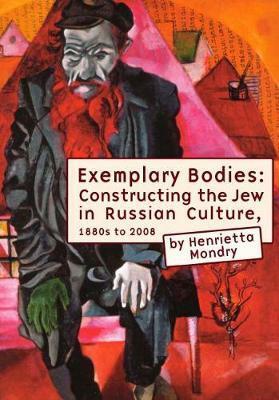 This book explores the construction of the Jew's physical and ontological body in Russian culture as represented in literature, film, and non-literary texts from the 1880s to the present. With the rise of the dominance of biological and racialist discourse in the 1880s, the depiction of Jewish characters in Russian literary and cultural productions underwent a significant change, as these cultural practices recast the Jew not only as an archetypal 'exotic' and religious or class Other (as in Romanticism and realist writing), but as a biological Other whose acts, deeds, and thoughts were determined by racial differences. This Jew allegedly had physical and psychological characteristics that were genetically determined and that could not be changed by education, acculturation, conversion to Christianity, or change of social status. This stereotype has become a stable archetype that continues to operate in contemporary Russian society and culture. Henrietta Mondry is Professor and Director of the Russian Program at University of Canterbury, New Zealand. Her recent books include Populist Writers and the Jews: In the Footsteps of Two Hundred Years Together, St. Petersburg: Akademicheskii proekt, 2005 (in Russian); and Pure, Strong and Sexless: Russian Peasant Woman's Body and Gleb Uspensky, Amsterdam: Rodopi, 2006.